Another week of not so great results. 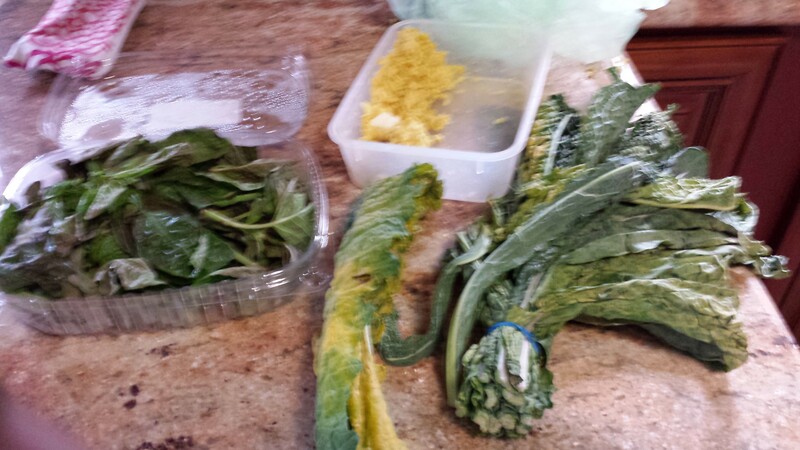 In addition to the items in the blurry picture below (it was one of those “hurry up and snap a picture with your phone even though you’re holding a squirming baby because the garbage truck is going to come soon” moments), I also threw out 2/3 of a stalk of broccoli, two containers of beans and rice from Chipotle (we’re always afraid Miss K. is going to feel bad if we don’t bring her something when her dad goes there for lunch) and a couple avocados mid-week. Again, apologies for the blurriness. Threw out some more lacinato kale this week, a pretty full container of basil from Trader Joe’s, and about half a cup of khichadi with a pat of butter on it. Blah. Let’s hope for a better week this week. On the plus side, though, I used up a purple cauliflower by making spicy buffalo cauliflower wings and we ate through pretty much all of that, I made a pasta with at least eight different veggies, and I felt like my two girls ate better than they usually do. I’ll take it. How did you do? 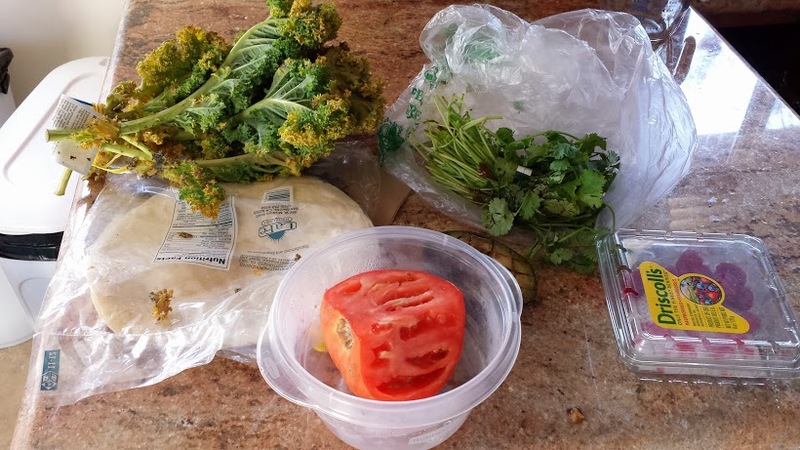 A half bunch of kale, half a bunch of cilantro, a few raspberries that were forgotten in the back of the fridge, four tortillas that were dried out and 3/4 of a tomato. Only about 20% of the tortillas were crisp (the ones that were near the open part of the bag) so I was planning on cutting off the crispy part and using the soft parts for quesadillas but then I noticed some mold so I threw them out. Poor kale. So nutritious and delicious yet wasted. What’s not perfect about FWF is that I toss things throughout the week too, sometimes. For example, I threw out some mushrooms that were looking sad and wrinkly but I did that on Tuesday so it doesn’t show here. Oh well. As long as I don’t start throwing things out early to avoid the shame, we’re good. Maybe I’ll try and take a picture of them midweek. Sigh. So week one of my public humiliation is done.